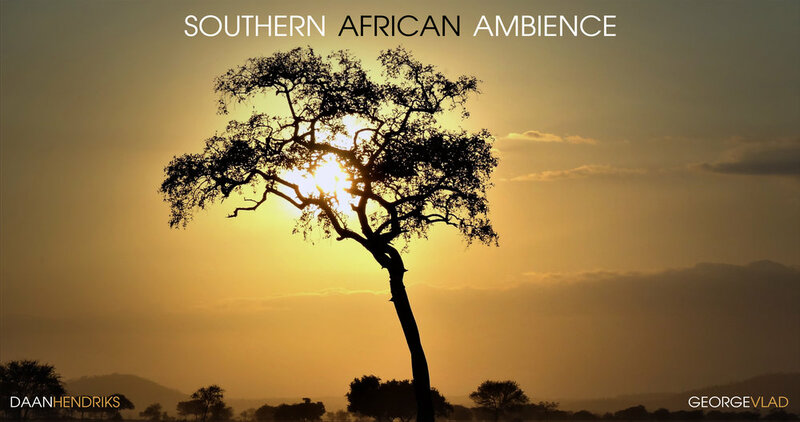 Southern African Ambience is a collection of rich and immersive savanna ambiences, recorded by George Vlad and Daan Hendriks in the north of South Africa, just on the border with Botswana. These were captured over a 2-week period in November 2016 while attending the Sonic Mmabolela workshop, organized by renowned sound artists Francisco Lopez and Barbara Ellison. Everything was recorded at Mmabolela Estate, a remote, 16000-acre game reserve in Limpopo province. Equipment was left out unattended for several hours at a time, so that wildlife would settle back after being initially disturbed by our presence. We were fortunate to record really rich dawn and dusk choruses, crystal clear morning/afternoon ambiences and remarkable nightscapes. The density of sounds was quite stunning as we were there at the start of summer, which heralds the mating period for many species. 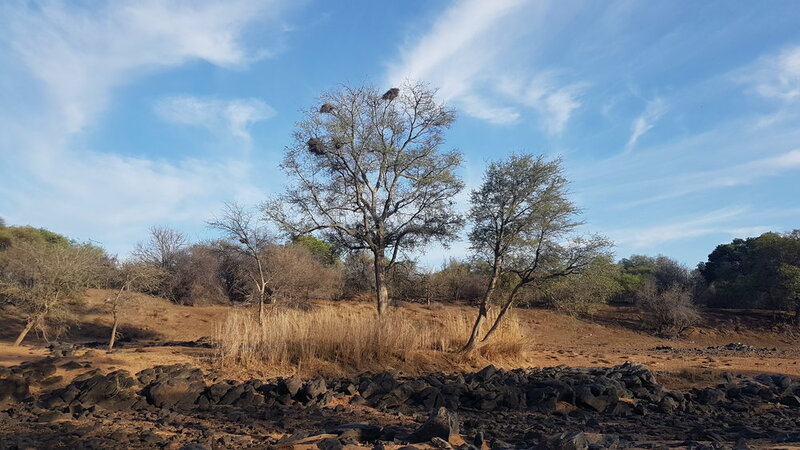 Recording locations included water holes surrounded by trees and patches of vegetation, dry savanna populated by thorny shrubs, dry river beds with excellent acoustics and riverine locations populated by geese and Ibises. The library covers all times of the day/night cycle and features an extensive number of species. 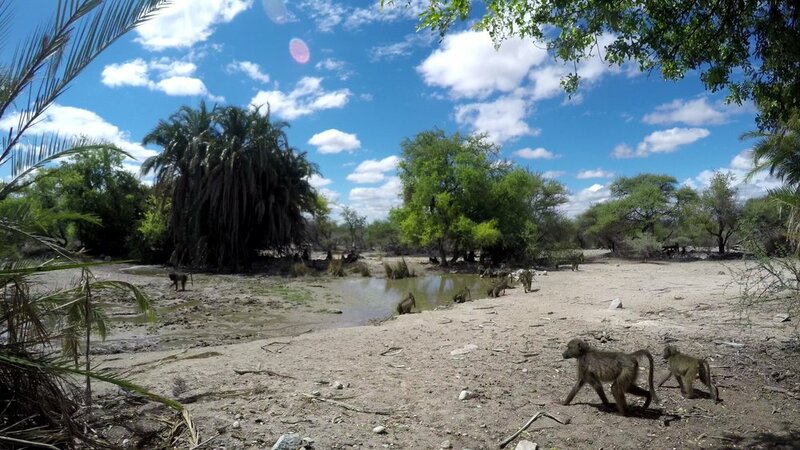 There are mammals such as baboons and jackals, insects such as crickets and cicadas, and in particular a great amount of bird species. 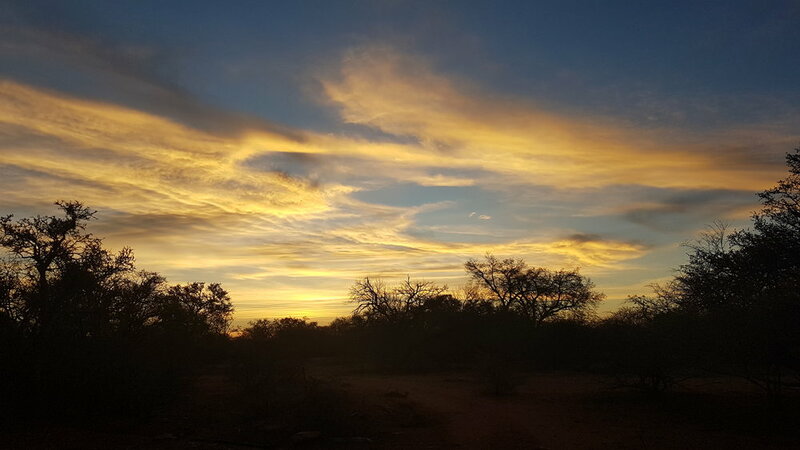 A few examples of the birds included are Laughing Dove, Ring-Necked Dove, Grey Go-away-bird, several types of Spurfowl, Woodland Kingfisher, Coucals, Tropical Boubou, Nightjars, Egyptian Goose, Hadeda Ibis, Crested Barbet, Hornbills, Shrikes, many types of Cuckoos and a lot of others. For a detailed list check out the accompanying metadata sheet and species list. We used two Sennheiser Double Mid-Side (MKH30-2xMKH8040) rigs housed in Cinela windshield systems, coupled with Sound Devices 633 and Zoom F8 recorders, and a custom-made SASS-enclosure housing two Sennheiser MKH8020s. The library is made up of 56 files presented as both stereo and 5.1 surround with a dead LFE channel to maximize playback system compatibility. The surround version of the library includes the stereo files, totaling more than 21GB. Each file is carefully meta-tagged to be easy to find, identify and use in projects. In terms of processing, only a subtle high pass filter was applied to remove some of the excessive low end of the MKH 8040s & 8020s.